but perhaps most noteworthy for me was the honour of presenting at this University of Sussex workshop for Onora O’Neill – http://www.sussex.ac.uk/philosophy/newsandevents/actingonprinciple – terrifying to be a business person presenting to philosophers, but Onora made it rewarding. And that’s just bits of December, though a nice, closing for the year before heading away to Germany for Wolpertinger habitat preservation work – http://en.wikipedia.org/wiki/Wolpertinger. 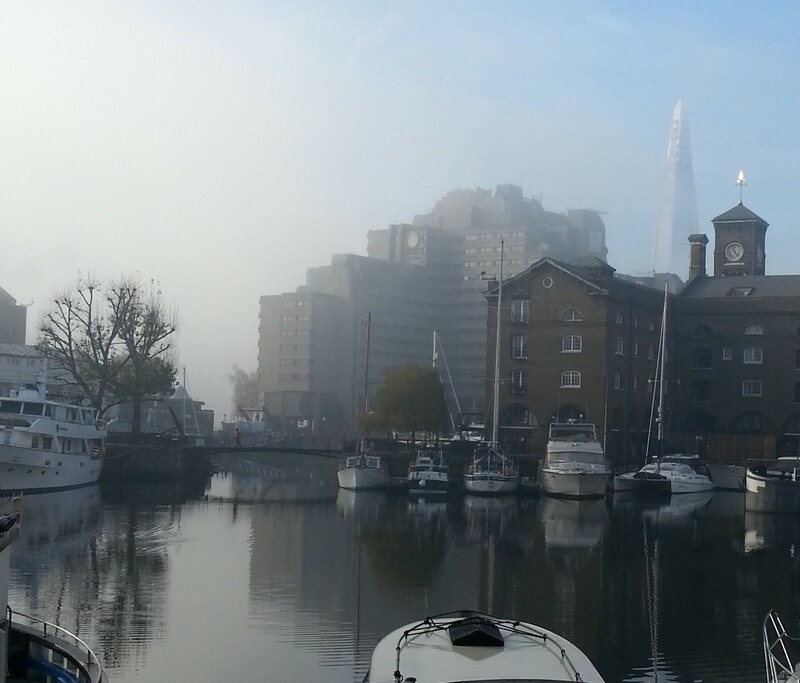 So I’ll leave a stressful 2013 behind with the following picture of peace and The Shard in fog after a few beers on a cold morning at St Katharine’s Dock. Prost Neujahr 2014.